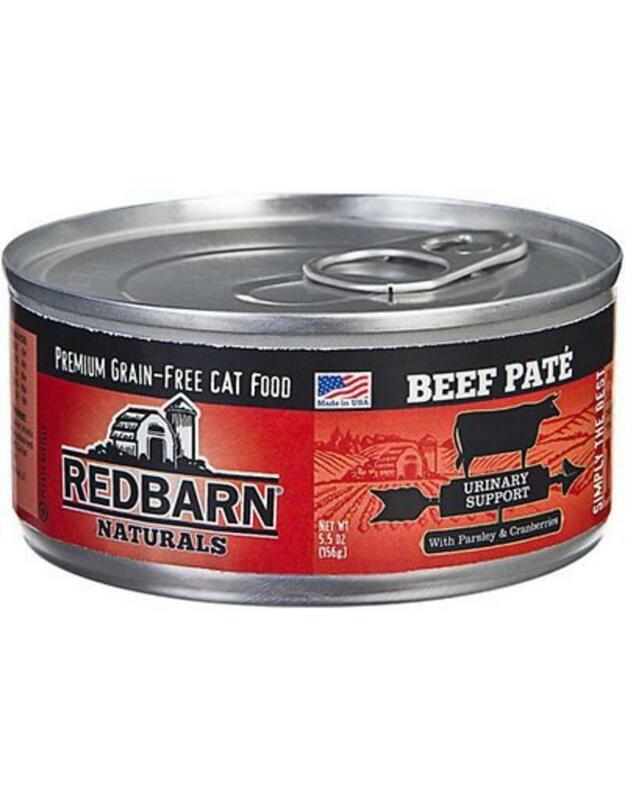 Give your cat the tasty and healthy food they crave with Red Barn Canned Cat Food! Redbarn Naturals are highly palatable recipes that reflect a dedication to quality. There's no grains, glutens, corn, wheat, or soy, so it's great for pet parents who are concerned with allergies, obesity, or digestibility. Added green lipped mussels and salmon oil, both rich in omega fatty acids, help keep your cat's skin healthy and coat shiny. Absolutely no carrageenan, artificial colors, flavors, or preservatives, no you can be confident you're feeding your cat the best. Proudly made in the USA! Ingredients: Beef, Beef Broth, Beef Liver, Salmon Oil, Natural Flavors, Calcium Carbonate, Agar-Agar, Choline Chloride, Tricalcium Phosphate, Parsley, Alfalfa Meal, Dandelion Greens, Blueberries, Cranberries, Salt, Taurine, Dried Green Lipped Mussel, (Source of Lysine), Iron Proteinate, Zinc Proteinate, Manganese Proteinate, Copper Proteinate, Magnesium Proteinate, Sodium Selenite, Calcium Iodate, Thiamine Mononitrate, Niacin Supplement, Vitamin E Supplement, Calcium Pantothenate, Pyridoxine Hydrochloride, Riboflavin Supplement, Biotin, Vitamin B12 Supplement, Vitamin D2 Supplement, Folic Acid.